There was one on ebay recently with a BIN of £24.99. The best offer price was accepted, but obviously we don't know what that was. I've seen the 'normal' version sell for £8 - £10.00, so I guess £15.00 would probably be about right. I've sold two over the past year, one for $20 shipped and the other for $35 with a a mint cloth cape Jawa. OH well..... I think I have seen a few for $25 over the past year ... maybe... I don't track them or anything, but I think that is what I saw them for and why I sold mine at those prices so they would sell fast(er). Thanks Jay, that has helped. I saw the vendor today and managed to get the no bump Jawa blaster for £12.00. Thanks again for the help Alex & Jay. Looking for a valuation on a Bi-Logo? ROTJ Boxed Falcon. It comes complete and includes the instruction sheet. 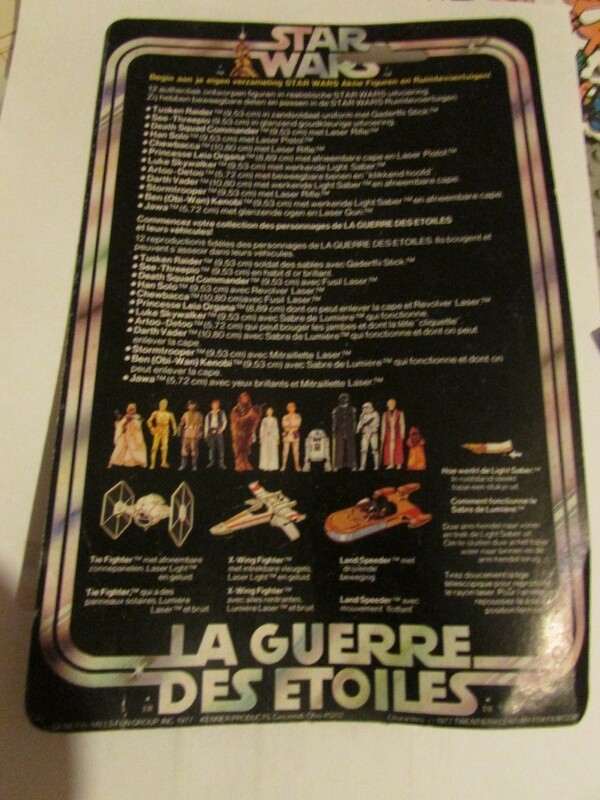 Box has typical wear to corners and features the Bespin scene with English one side/French the other. I'm looking at a brown yoda snake, and a yoda cane at the moment. The snake seems to be going for over £20 and another cane is up around the same at the moment with a few hours to go. Any rough price guides on what I should be aiming for? I notice a complete one with snake, cape, belt and cane is about the £65 mark, but I already have the rest of the parts! I've only been collecting since December last year, so all my pricing is done via whats on the auction sites! eBay is an evil, evil place. I've seen the snake and cane go for $8-12 each on a good day. I think you should hold off for a better deal.. like a way better deal. I've got my complete collection from ebay, so far, so probably massively over-paid already! I hear ya. I was about to tell you that the money you would spend on accessories should be used for other complete figures instead. Looks like your complete already! Well, complete in as far as figures go. I stupidly bought most without their accessories, and now I'm finding out how much the accessories cost!! (noob!) Looks like the repro accessories are getting very good, too, which doesn't help. Thanks for the advice, though. You can also put a WTB (Want to Buy) in the classified section. Make a list and you could get lucky! Thanks, I'll do that. It'll be a BIG list!! In case you need more figures or anyone else out there reads this: Try to always buy complete figures. 99.999999% of the time you will pay less for a figure complete than you will buying the figure and then each accessory. Due to kids losing them or vacuums eating them or whatever there are far more figures in existence than accessories. Sellers have discovered this and that is why there are reproduction crap and higher prices for individual accessories. 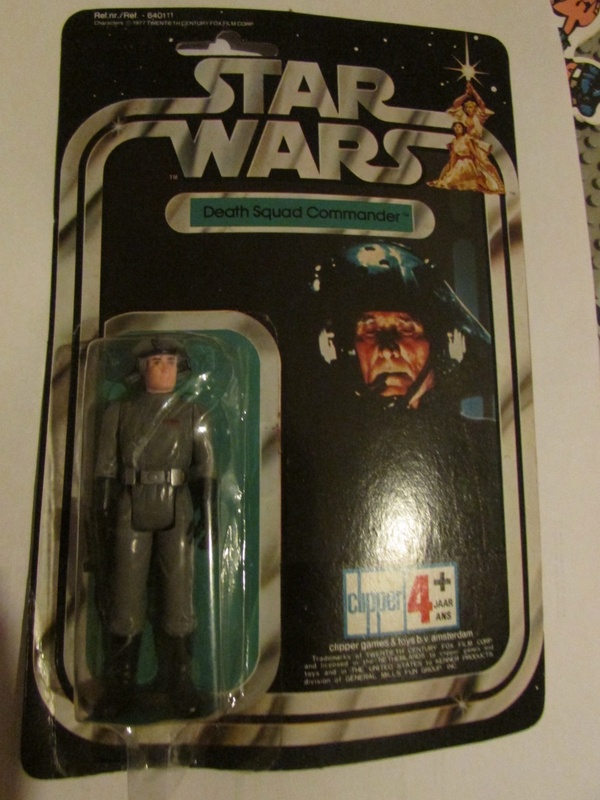 Now you'd have to win multiple auctions for one figure vs one auction. Just something that didn't sit right with me anyway. I've learnt this the hard way! Especially with ships etc. I've ended up paying almost as much for missing parts, as I did for the ships in the first place. Unfortunatley sellers don't help this situation, by stripping the ships they have down, but you can't blame them I suppose? The Last 17 give me nightmares. We are talking "made in Taiwan" or is it "Taiwan" only? The made in version is fairly common, the Taiwan only is not so common. I don't know up to date pricing but a while back when I was watching them it seemed the made in version was around $35-50 and the Taiwan only was between $200-250. Of course price would also fluctuate due to condition of figure and accessories. Forgot to mention, he's the "made in" version. I had done some reading, so knew the Taiwan only was more scarce, and the prices you mention match my research, but the prices I found were from a few years ago. I had hoped that maybe the price had amazingly jumped recently. From the pics, he looks very, very nice. I'll have him in hand today, so maybe I'll post some pics.